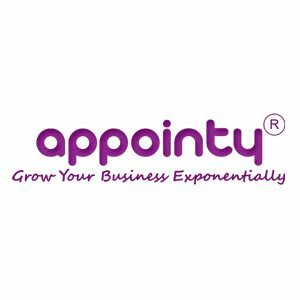 Appointy is a cloud-based appointment scheduling software that allows its users to manage schedules online. Its features consist of appointment booking, automated reminders, and online payments for services, as well as access to analytics and online marketing tools. We compiled Appointy user reviews from around the web and determined that it has generally positive ratings. We also shared its available pricing options. Users who gave Appointy a positive review said that the software is an efficient tool for managing and tracking meeting schedules and client appointments. Several others also mentioned that they like the software’s integration with Facebook and other social media channels, its automated reminder service, and customization features. Users who gave Appointy a negative review complained about calendar synchronization issues, as well as challenges in setting up the tool’s scheduling restrictions. They also mentioned that the software’s interface should be further improved to make it more intuitive. One user who gave Appointy a positive review on G2 Crowd said that the software helps to keep him organized given its appointment reminders. He added that he appreciates the tool’s scheduling system that enables his clients to choose their own time slots, as well as its social media integration since many of his customers are constantly online. One user who left a review of Appointy on Capterra said that the software’s calendar synchronization feature can sometimes be glitchy. He shared that there were instances when he would need to manually update schedules between Appointly’s calendar and his separate calendar system. 3 Best Appointment Scheduling Software Systems for 2018 — An appointment scheduling software allows your clients and customers to book appointments with you more efficiently and effectively. Read on for our comparison and review of Acuity Scheduling, Bookeo Appointments, and 10to8. 5 Best Free Appointment Scheduling Software for 2018 — In this guide, we identified the key features of several free appointment scheduling software. Read on for our comparison and review, including our top recommendations. Does Appointy offer a free trial? Yes. Interested users may contact Appointy’s support team to enjoy the 14-day free trial. What will happen to a user’s account once their 14-day free trial expires? The user’s account will automatically be converted into Appointy’s Free plan that comes with basic features. Can users request additional staff access? Yes. Users can get in touch with Appointy’s customer service to request for additional user access and to get the pricing details. This video provides an overall background on Appointy’s online scheduling tool, payment service, and other features. Not sure if Appointy is the right fit for you? Read our reviews of all top appointment scheduling providers or check out one of these three Appointy competitors. We use Appointy to book phone calls for our company. Visitors come in, select the type of call they’d like to schedule and enter their information to reserve the time. Since it integrates with Google, our various departments see the calls on their calendar in real time. We can also request specific information (custom fields) from them during the booking process for different departments and ask them to Agree to various terms while booking. It has greatly simplified the call booking process and we’re very happy with them. Customer and tech support has also been very responsive and helpful when we needed to remove reviews from our page and other minor issues. They also have an API that can be integrated with Podio for easy plugging into our CRM. For us, their single biggest drawback is the lack of per-department booking rules. For example, if customer support needs 4 hours of notice before booking a call, then every department shares that requirement. I cannot give customer service a 4-hour notice rule while also giving pre-sales a 1-hour rule. It’s all or nothing. The per-department booking rules were a big disappointment but we’ve learned to work around it with lots of “I Agree” checkboxes that lay out the booking rules before booking. I knocked off a star for this missing feature. Also, sometimes it can be hard to find settings, staff tweaks and other items in their UI. I frequently find myself digging through their support articles to try and find them. Sometimes I even need to contact support for help. These cases are few, though, now that the system is in place and functional. But another star was lost for it in Ease of Use. Overall, we knew what we were purchasing and 95% of all the features we needed were available. We are content with Appointy. Providing an online scheduling link for prospects and clients. The system is a bit rigid in how you set up your appointment options. Can be cumbersome. Appointments that are made using the free version do not provide details of who the person is. You only receive an email notification with no personal info attached. Seems pretty petty. I tried out many online platforms & Appointy fit my business the best. When I have experienced technical issues they are resolved fairly quickly. There is one tech support person I have dealt with a few times in particular and they are fantastic! Fixing issues or limitations with the program. The biggest is not allowing you to make multiple payments or partial payments for a customer on a particular day. The sales reporting also seems quite limiting. You can only produce a month to month sales report, and it does not show you a break down of the type of payment. Customers have stated they do not like the program compared to others they have used, that it is very cumbersome to book a class – and you have to repeatedly click from one page to another instead of being straight forward on one page. I will be looking at other platforms that might be more suitable as soon as our subscription is up. But it has been a great first program to use for what we needed. Limited options for payments & reporting. It would also be great if it was more customizable, ie. payment types and booking options. The made it easy for me to allow my clients to schedule their own appointments right from my website. Makes converting interested people into customers a snap. Appointments integrate into my company (google) calendar within seconds. My clients get notification emails when they schedule or an appt is changed. Hard to call this a fault… Appointy is more robust than I need at this stage of my development. I’m a one-man show, not a team, so I don’t use all the functions a team would use. This results in the interface being more complex than I need it to be. There have been no unpleasant surprises. Appointy makes scheduling clients a snap! No more accidental double bookings! We accept an average of 4-10 appointments each day for services and it has cut our booking time from 7 steps down to one easy step! The reports are easy to use and deep in offerings. I love this software! The customer service is awesome and always ready to help, very patient! I would love to allow people to just pay a portion of the fees as deposit, and pay for multiple deposits if signing up more than one person at a time. Currently the amount charged is whatever I set it to be but only allows for payment of one slot. Other than that the software is perfect!